CROM is the first real-world application of blockchain technology for the performance advertising industry. CROM grants access to a complete new set of methods that will fundamentally change the way settlements are processed in the digital advertising value chain. Now that blockchain technology has reached a more mature state, CROM takes advantage of the solutions available and combines smart contracts with cryptocurrency based payment. CROM is tailored to the digital performance advertisement industry and solves problems that all current implementations cannot cope with. Tracking and settlement in todays performance marketing ecosystem is not optimal. Fraud and long delays in payments are the norm. CROM intends to change that. We propose to handle transactions in performance marketing between parties (advertiser – network – publisher) using blockchain technology and cryptocurrency instead of classic money transfer. Tracking today means conveying information about events that are connected to payments of fees from the advertiser to the final publisher, often across multiple middlemen („get paid for a successful sale“). Launching in the affiliate market, which is believed to grow to $6.8bln by 2020, CROM strives to manage a substantial part of the tracking and financial settlements. Once established, CROM will extend into the $500bln+ digital marketing industry. As opposed to today’s system of ex-post wire transfers, CROM will instantly settle amounts due with all parties involved in one transaction by transferring cryptocurrencies between parties. The platform will be available stand-alone and for API-integration into existing platforms. Thereby, it helps to substantially grow liquidity in the market: by speeding up money transfers and allowing all marketers to re-invest faster. Such transfers incur a fee, which represents the base revenue stream. CROM token holders paying for transactions can diminish this fee substantially, thereby saving costs. Moreover, CROM token holders receiving transactions can earn bonuses on transactions. Thus, all parties in the marketing ecosystem profit from holding token, this creates demand and a lasting speculative value for investors. The founding team behind CROM have been active in the digital advertising market for as many as 20 years; it is well connected to key players in the market and is committed to create a marketable, revenue-generating real-world product fast. Based on this knowledge and network, CROM intends to work together with the largest media platforms and tracking providers. 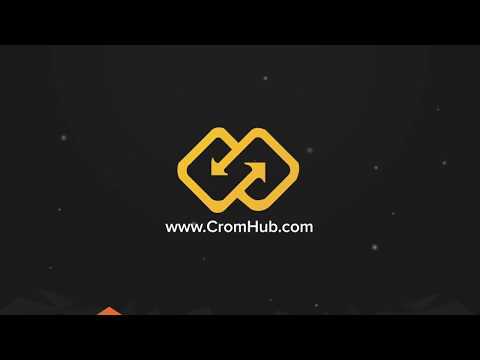 The CROM token is unique in representing lasting monetary advantages for token holders. It will be freely tradable and highly sought after by all parties in the digital performance market.